We have released Auto PeakTrace 5.92 today. This is just a small bug release version to fix a few rare bugs. If you are not having any problems with Auto PeakTrace 5.91 then this update is optional. We are working on a major update which we hope to have out in the next week or so – stay tuned. If you want to upgrade to the PeakTrace 5.90 series (the most recent release in this series is 5.92) there are a few steps that you need to do first. Check if you are running a version of PeakTrace prior to 5.70. The version number is shown at the top of the options window of Auto PeakTrace or use peaktrace -v if you are using the PeakTrace command line version. If your version is after 5.70 (or you are using Auto PeakTrace RP) then you can skip straight to Step 7. If you are running a version of PeakTrace before 5.70 then you will need to obtain a free update for your license. You will need to generate a license request file and email it to Nucleics (or your local supplier). Nucleics will update the license and send it back to you. 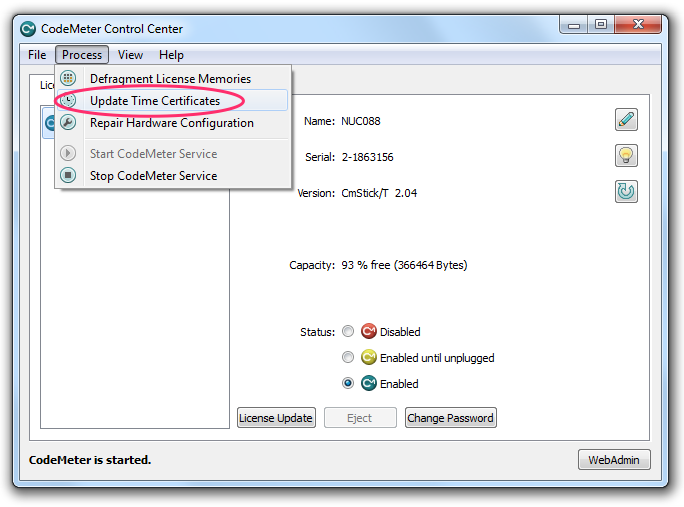 If you have received an license update in since April 2015 then you can also skip this step. 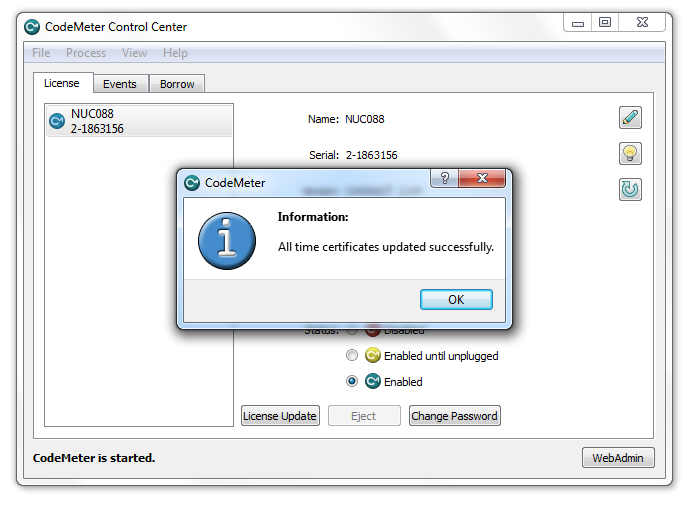 Update your CodeMeter Runtime to the latest version (6.30 as of July 2016). Update the PeakTrace USB Key Firmware to the latest version (2.04 as of July 2016). Update the PeakTrace USB Key Time. Install the updated license file you have received from Nucleics (or your local supplier). Download the latest version of Auto PeakTrace (or peaktrace for linux) from the Nucleics Downloads page. You will need a password to access the downloads page which will be supplied to you with the updated license file. 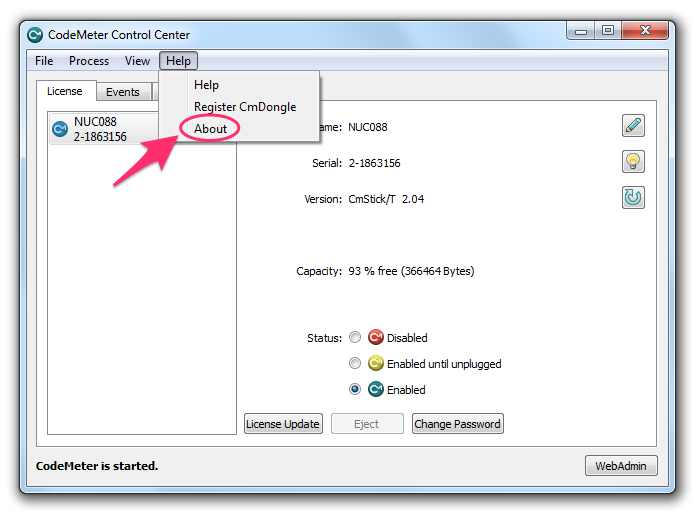 Install Auto PeakTrace by double clicking on the installer and following the prompts. Once installed check the Auto PeakTrace Option settings. It is a good idea to also read through the supplied help manual as there are new features and changes that will likely be of interest to you. If you are unsure of what settings to use then just use the defaults and/or get in contact with Nucleics (or your local supplier) for advice on what is best for your needs. We have released Auto PeakTrace 5.90 (the Auto PeakTrace:Box version). This is a major update that supports many new run conditions and includes improved base calling for many previously supported run conditions. Both the Windows and Linux versions are available on our Download page. If you are currently running a version of PeakTrace before 5.70 you will need an update to your current license. Please contact Nucleics or your local supplier to obtain the free license update. New Feature. A new warning when the software becomes obsolete. New Feature. Build date of Auto PeakTrace is now shown on the Licensing Code Window. New Feature. -ha switch which limits simultaneous access to USB Key (command line only). Improved support for ABI 310, ABI 3500 and MegaBACE traces. Improved basecalling and trace processing. Many bug fixes and improvements. 1. 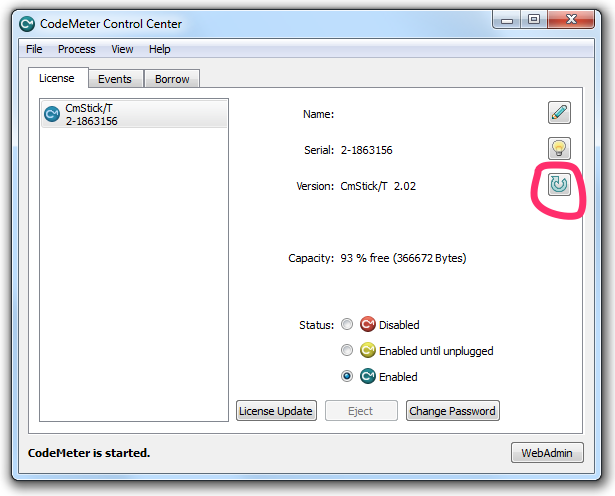 Open the CodeMeter Control Center from Run > All Programs > CodeMeter. Please make sure that the USB Key supplied by Nucleics is plugged into your computer. This computer must have internet access. 2. Click on the Process menu option. 3. Click on Update Time Certificates. 4. Once the USB clock is successful updated the above window will appear. 1. 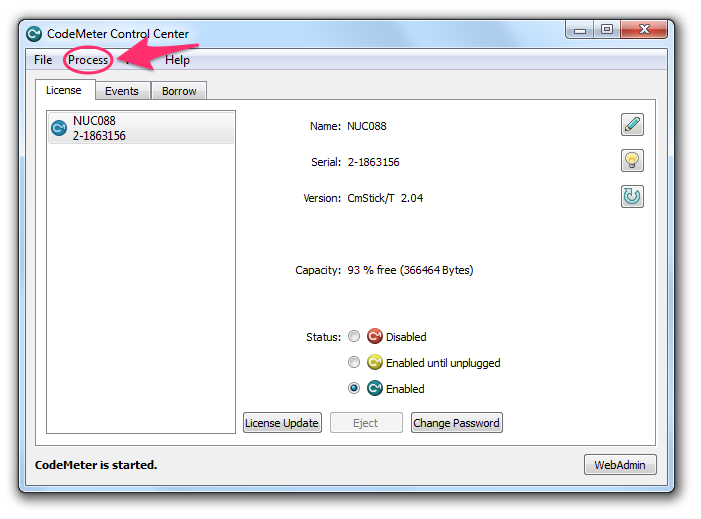 Open the CodeMeter Control Center from Run > All Programs > CodeMeter. Please make sure that the USB Key supplied by Nucleics is plugged into your computer. 2. Click on the Help menu and then on About. 3. 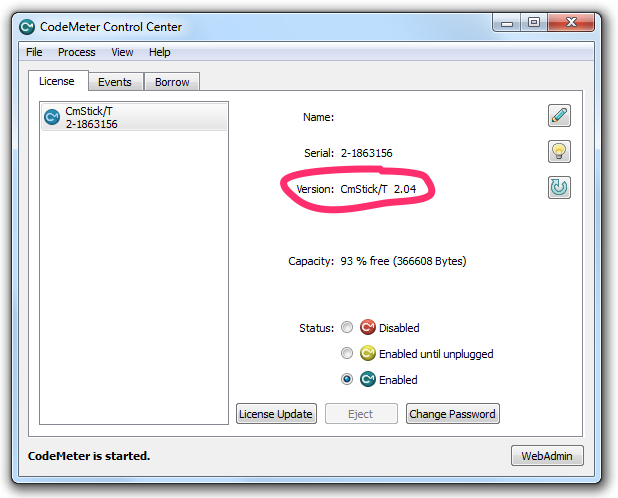 The version number will be shown on the About window. If you runtime version is less than 6.80 then you need to update the CodeMeter Runtime. 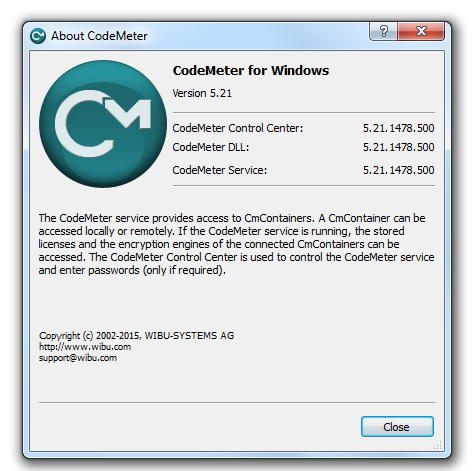 The latest CodeMeter runtime can be downloaded from Wibu. 4. Run the Codemeter Runtime Installer following the prompts. After it finishes restart your computer. 2. Click on the circled arrow icon. The CmStick/T firmware version should be 2.02. 3. Press OK to Execute the Firmware Update. This will take some time. If an error occurs check that you have Internet access on computer. If you don’t then move the USB Key to a computer that has Internet access. 4.The firmware version should now be updated to 2.04 or higher. We have released Auto PeakTrace 5.63. This is a small bug fix update to correct an issue with outputting both .phd.1 and .seq files at the same time. It will be automatically updated if you are running Auto PeakTrace online, but if you wish to install Auto PeakTrace manually then it can be downloaded from the Nucleics Downloads page.